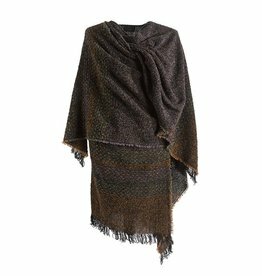 Our Grey Multi Stripe Shawl Colar Poncho from Brangian Weavers feaures a snap collar and double buckle off the shoulder. 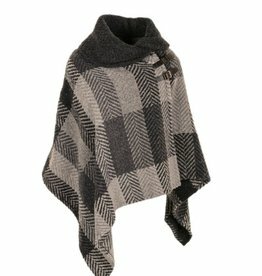 Comes in a beautiful Multi-Stripe Grey Tone Herringbone pattern that will be a great addition to your wardrobe! 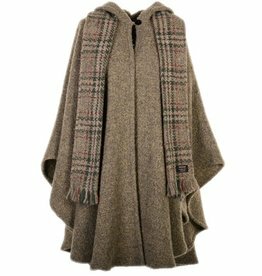 Our Katie Cape from Branigan Weavers is a simply styled cape with a generous hood and single button-and-loop closure at the neck! 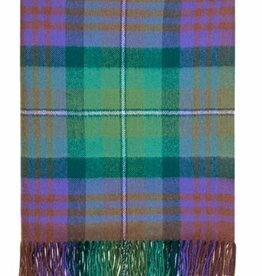 Features a removeable, color complimenting, scarf for extra warmth. 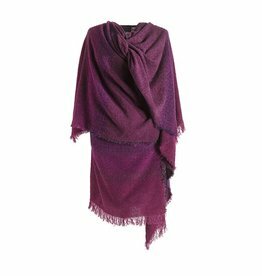 Measures 45" from edge to edge; hangs 29"
This beautiful Mulberry Purple Tina Cape is made in Ireland by Branigan Weavers. The silhouette is classic and will compliment anyone who wears it! 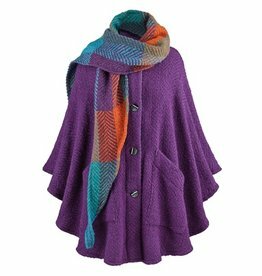 Features 4 buttons, 2 front pockets, and a detachable scarf. 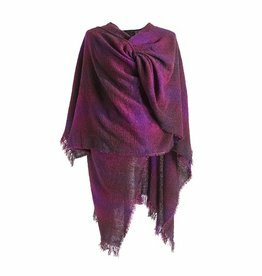 This beautiful Grape Purple Tina Cape is made in Ireland by Branigan Weavers. The sihouette is classic and will compliment anyone who wears it! 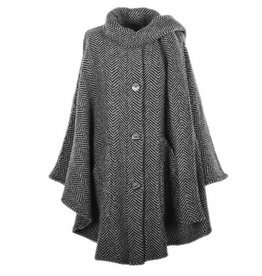 This beautiful Donegal Stone Grey Herringbone Tina Cape is made in Ireland by Branigan Weavers. 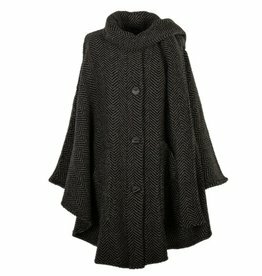 This beautiful Donegal Stone Nero Herringbone Tina Cape is made in Ireland by Branigan Weavers. 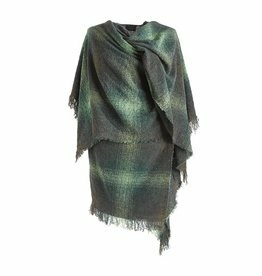 This beautiful Oak Tina Cape is made in Ireland by Branigan Weavers. 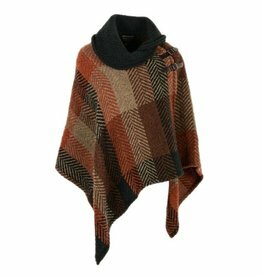 Our Multi Rust Shawl Colar Poncho from Brangian Weavers feaures a snap collar and double buckle off the shoulder. 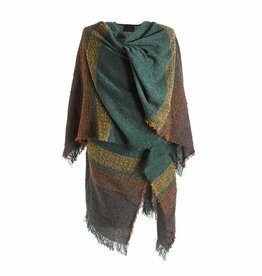 Comes in a beautiful Herringbone pattern, featuring rust tones, that will be a great addition to your wardrobe! 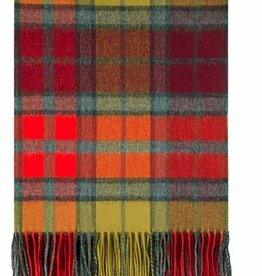 This beautiful serape is made from brushed lambs wool. 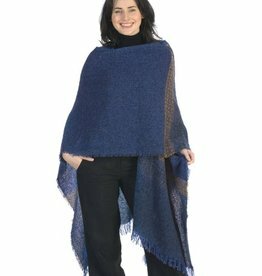 This beautiful Boucle Petrol Navy Blue Tina Cape is made in Ireland by Branigan Weavers. 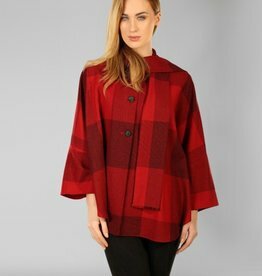 A classic cape in beautiful red-check tones! 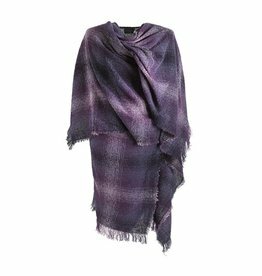 The perfect and stylish alternative to any jacket! 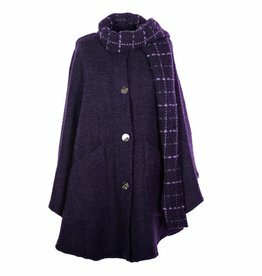 This one-size-fits-all cape is from Triona Tweed, Donegal Ireland. Cut to flatter every silhouette!